Quality in custom industrial knives is one more area of expertise that sets AQS apart from the crowd. We produce multiple types of custom industrial blades for large and small companies alike. We have multiple facilities around the world with their own areas of expertise in manufacturing to ensure that our customers are receiving the best product we can provide at competitive prices. 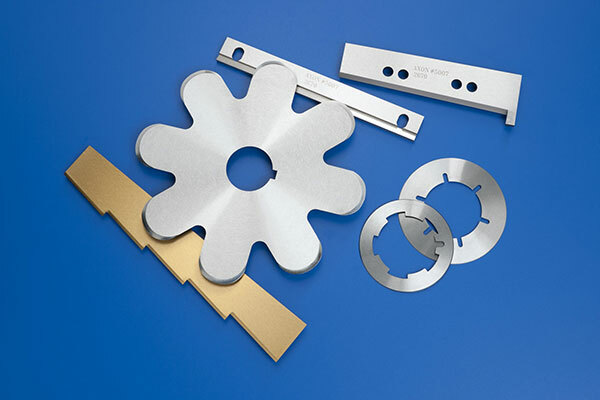 We have the ability to produce different types of cutting edges and we heat treat in-house. We also offer a variety of coatings depending on our customer’s needs. We are probably the most equipped in the industry to supply these custom, specialty knives. We also offer custom services to our customers, such as industrial knife sharpening and assistance in deciding which type of industrial knife is right for each application. A member of our sales team will be happy to help answer any questions or provide quotes on any custom industrial knife request.